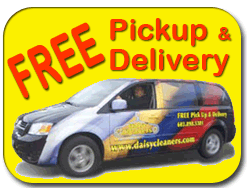 Daisy offers discounts on uniforms! Uniforms come in all shapes and sizes. 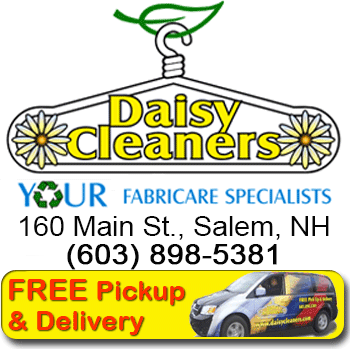 Whether it is an everyday police or fire uniform or your dress uniform, Daisy will help keep you looking your best. Some uniforms require special care in cleaning, spot removal and pressing. Here at Daisy, we are experts in special care! Home on military leave and need your everyday uniform or dress blues looking sharp and clean? We can help. We do a number of ROTC uniforms for local students. From your cap to your pants, we will have you looking your best. Want to have your hospital scrubs looking their best? Bring them in and we will professionally clean and press them so you make your best impression. School uniforms, keep them looking there best with professional cleaning. Band uniforms need extra care after the big game or holiday parade! Look best for the next competition by having your band uniform professionally cleaned. Your uniform will be cleaned, pressed and ready for action!